Not that long ago Dr Alan Garner described the process for developing Carebundles as part of trying to deliver the best care and measure it at the same time. Here’s the first of the follow-up posts: on TBI. As a follow up to our blog about Carebundles and their general utility in Prehospital and Retrieval Medicine we thought we might go through each of the bundles that we are using in Sydney and discuss our rationale for why we included the items we did and the evidence base for them. We hope this process will provide us with some open peer review of our criteria across an international cohort of our colleagues which can only be good for us. As I have already stated the evidence here is not strong. However it certainly allows better control of both oxygenation and ventilation (PaCO2) so it makes sense and is the in-hospital standard of care. We also know that we can do this safely and extremely rapidly without delaying in-hospital care (CT scan in particular). Given we are not delaying subsequent care it seems reasonable to intubate these patients on scene given the other advantages. We carry a small ventilator to every case. There is some observational evidence that PaCO2 outside of the normal range is bad for head injuries and that we are crap at providing consistent ventilation by hand so this made sense to us. Again see Davis’ papers on this subject. 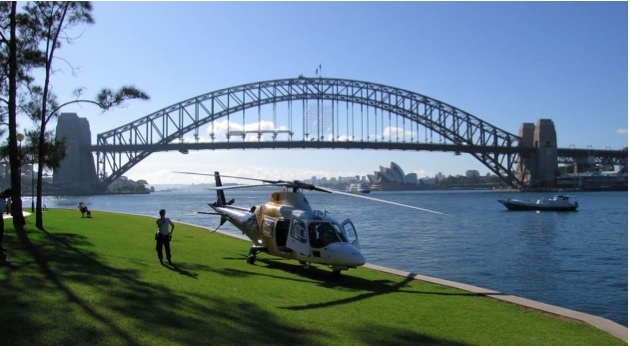 We are wanting low normal range (in the 35-40mmHg range) but we don’t have formal blood gases available to us in our rapid response urban operation in Sydney (we do in our longer distance transports in other parts of Australia and internationally). We therefore assume there will be a small gradient from arterial to alveolar and aimed for an ETCO2 that was likely to get our arterial level in the zone we were aiming for. Our minimum is ECG, SpO2, non-invasive blood pressure and waveform, quantitative ETCO2. These are the minimum standards for managing an intubated patient in our part of the world as covered by the specialty colleges. . There is definitely no randomised controlled trial that shows that prehospital venous access improves outcome from severe head injury (or anything else that I know of either). However it really goes with intubation as above. We aim for pharmacologically smooth intubations without desaturation or hypotension. We need a line to achieve this. Note that this does not say a rigid collar, just immobilisation which can be achieved in a number of ways. There is of course evidence that collars impede venous return and therefore it is possible they have an adverse effect mediated by effects on cerebral perfusion pressure. The consensus guidelines still cite the evidence of C spine injury associated with severe head injury so neck immobilisation made our list. We’re actively reviewing what to do when we arrive at a patient already with a rigid collar in place. No evidence that I am aware of that prehospital analgesia changes outcome for patients with severe TBI, even in terms of subsequent post traumatic stress disorder in survivors. Unconscious (but not completely obtunded patients) still feel and respond to pain however. Of course it may also mitigate the risk of hypertension potentially exacerbating intracranial haemorrhage so again a biologically plausible mechanism for a benefit. I think we mainly included this one as it is what we would want for ourselves & our families. This is again extrapolated forward from standard in-hospital care. We need to get the brain above the effect of venous pressure to maximise cerebral perfusion. No prehospital studies on outcome (recurrent theme) but seems reasonable. All the large observation data sets about this quote 90% as the magic number (See Randal Chestnut and Michael Fearnside’s classic papers on this topic for example). We were simply conservative and aimed a bit higher at the inflection point of the Hb dissociation curve as desaturation occurs so rapidly below this point. I note that the Germans (ADAC) are aiming for 95% presumably due to similar thinking. Again the classic papers talk about 90mmHg for this item, although if you look at the Brain Trauma Foundation guidelines, they suggest a preference for a higher target, even though they can’t say exactly where to land. Guidelines out of Italy have also recommended this sort of target previously. Again this seems to make sense from a cerebral perfusion pressure point of view. We mandate that this be documented for all patients. Our trauma population like most other parts of the developed world is becoming older and co-morbidities are increasingly common. This one is too embarrassing to miss. One fifth of patients with severe head injury have a drainable haematoma. We want to maintain a sense of urgency among our teams. Again, we recognise that there are times when circumstances stop the team achieving this. The key thing is maintaining that sense that forward momentum can be significant for the patient. All based on observational data but taking severe trauma patients direct to designated specialist trauma centres is standard of care internationally. Even the UK have got in on the act recently. This one is going to be controversial. Again based on beneficial effects on ICP in the ICU setting rather than hard evidence of improved outcomes. We chose hypertonic saline over mannitol as there is less electrolyte disturbance and hypotension. We are targeting the neurologically deteriorating and lateralising signs group as they may have drainable lesions and we are trying to buy time to surgical evacuation. That is the theory anyway. This is our audit sheet that the doctors complete post mission. You will note that it contains space for the team to comment on variations from the bundle so that we can identify the reasons that we are unable to meet our management targets. Here it is in all its documentation glory. Although the bundle is designed for patients with GCS<9 in reality we intubate a lot of head injury patients with GCS 9-12 as well for various reasons. We do not consider application of the bundle mandatory in this group but if they do intubate the patient we encourage our teams to apply all the bundle items as well as completing an audit sheet post mission. Did we get it right? As I said the lack of good evidence makes this process very sobering, so we would particularly welcome feedback. Next time I will have a look at our blunt multiple trauma bundle. Davis DP, Hoyt DB, Ochs, M, et al. The Effect of Paramedic Rapid Sequence Intubation on Outcome in Patients with Severe Traumatic Brain Injury. J Trauma Infect Crit Care. 2003;54:444-53. Davis DP, Peay J, Sise MJ, et al. The Impact of Prehospital Endotracheal Intubation on Outcome in Moderate to Severe Traumatic Brain Injury. J Trauma Infect Crit Care. 2005;58:933-9. Hurst JM, Davis K JR, Branson RD, Johannigman JA. Comparison of blood gases during transport using two methods of ventilatory support. J. Trauma. 1989;29:1637-40. Chestnut RM, Marshall LF, Glauber MR, et al. The role of secondary brain injury in determining outcome from severe head injury. J Trauma. 1993;34:216-222. And here are those BTF guidelines. Don’t forget we’re always interested in thoughts, comments, feedback and tips. If you like this or any of the other posts, you might like to track down the bit on this page that lets you subscribe so you can get a notification when we put something up.